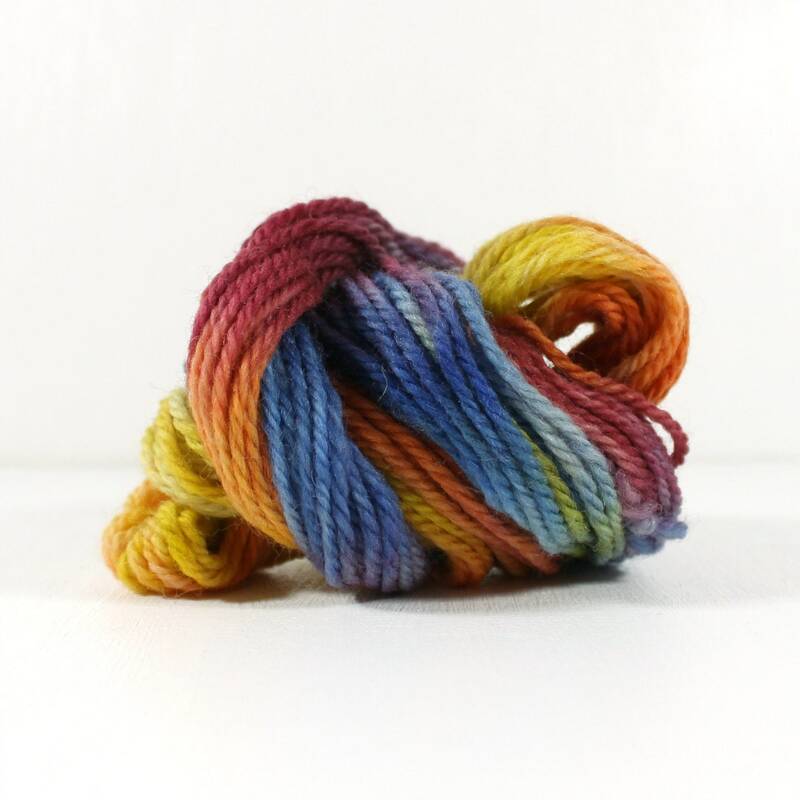 this squishy, soft, delicious merino wool yarn is hand dyed in various colours. mini skeins are perfect for those small knitting or weaving project where you want to grab a bunch of colours without having to buy huge skeins. this yarn set is a one of a kind beauty so if you love it grab it. want it but can't pay today ? then contact me for a reserved hold. approx. 20 grams per skein. pure merino wool, 22 micron. ** listing is for yarn pictured only and not any props used in the photos. ** i use local australian farm wools where possible from happy animals that roam around and do their thing outside in nature. this means i clean and dye the fleeces myself. i do my best but you may find the occasional piece of grass or twig. they're easy to remove by plucking or flicking with your finger nails. may bleed a little for first few washes. cool gentle hand wash. do not agitate, do not wring out water, do not use harsh detergents. lay flat to dry in shade. do not tumble dry. ** remember heat and agitation cause felt. ** hand dyed and may still bleed a little extra dye in the first few washes. aussie buyers can contact me if they wish to use a different payment method from paypal.